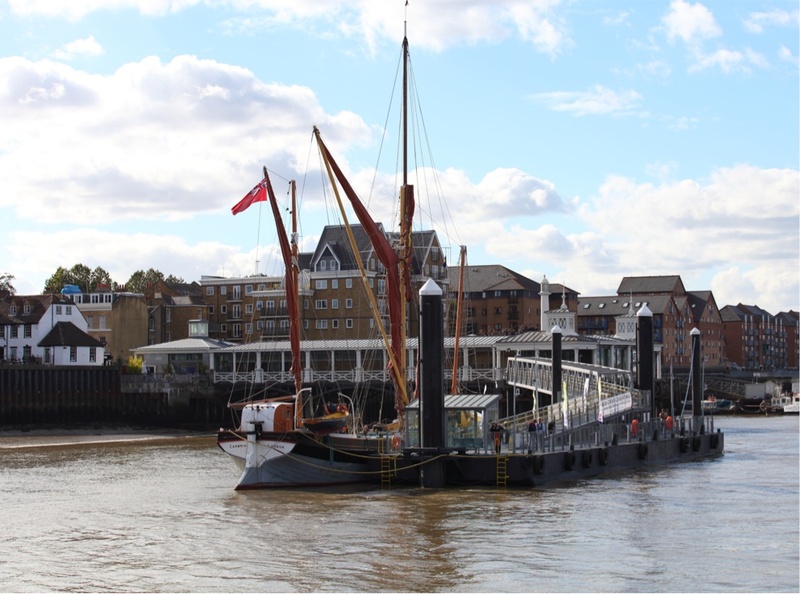 This page gives details of all the up and coming Thames Sailing Barge matches in the Thames estuary and our coinsiding trips out to see the barges aboard our River Cruiser, Jacob Marley. Departing Gravesend Town pier, head down down river to see the annual Thames Barge match competeing in the Thames Estuary. This Barge race is one of the oldest Sailing Barge races in exsitance which starts near Standford-le-hope heads out towards Southend and then finishes at Gravesend. 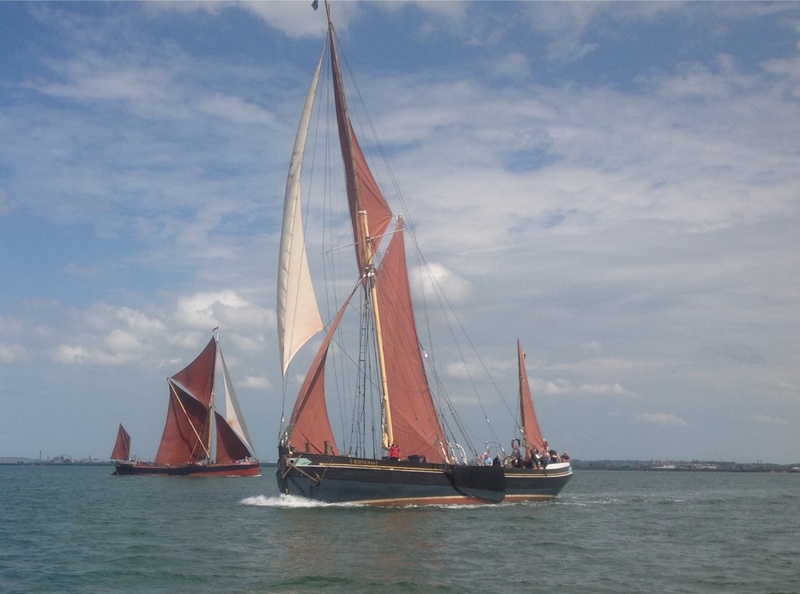 Our tours have been put together due to popular demand, in support of the Thames Barge match Committee. Take a seat aboard our seagoing Catamaran "Jacob Marley" for a 4 hour cruise to see the 2018 annual Thames Sailing barge match. Departing Gravesend Town Pier at 0900 we will follow the barges down to the start line as they start to hoist their sails and prepare for a long hard day's sail. We will take up position abrest of the start line and hear the start cannons fire. With three classes of barges in this years race there will be three sets of start cannons. Spaced 15minutes apart, once the last barge has crossed the startline your cruise will follow the barges downriver towards Canvey Island giving you a great opportinity to see these powerful workhorses plough through the waves using only their iconic red sails. The cruise will depart the barges around Canvey Island to return back to Gravesend. Complimentary Tea and Coffee and a breakfast buffet of Bacon rolls and paistries will be served. Cash Bar also available. Take a seat aboard our seagoing Catamaran "Jacob Marley" for a 4 hour cruise to see the Thames Sailing barge match. Departing Gravesend Town Pier, you will steam downriver towards Southend to meet the Barges on their homeward leg of the race giving you the opportunity to see these old workhorses race head to head and pick up the action as the river starts to narrow. After meeting up with the race we will follow them back towards Gravesend and the finishline and wil take up position abrest of the Clarendon Hotel when the majority of the Barges make their final push to be this years winner. Complimentary Tea and Coffee will be available throughout the cruise and a Fish and Chip lunch will be served. Cash bar also available. The next Medway Barge match is on the 25th May 2019. Around 10-14 barges are expected to race head to head against each other for the trophy for fastest barge arond the course. Starting from Gillingham the barges will sail out to Medway Buoy before returning back to Gillingham, where they will anchor up for the night. This May we set sail from Rochester Pier as the offical spectator vessel where you are able to veiw the barges in all their glory. However with a small twist, our cruise will also venture down river to the Red Sand towers to see these World war two historic Forts. During your cruise you will get a running commentary of the sailing vessels and be able to purchase the Medway barge match programmes onboard. Note: As we have a set finish time we may not see the barges finish as this depends on the wind and exact finish of the race. The Swale Barge match is expected to be on the 10th Augustr 2019. We are currently working on this unique cruise and hope to have more details soon. The Southend Barge match saw its last match in 2017. This race we hope will regain its support by Southend and we look forward to it re-commencing. In the mean time we hope to get updates if and when this race resumes.